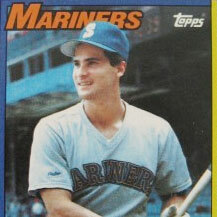 This week, the Toronto Blue Jays announced the signing of Venezuelan shortstop Omar Vizquel. He is, without a doubt, one of the greatest defensive players in the entire history of baseball. He has won 11 Gold Glove awards, nine of them in a row for a while there. And though he's never been a very good hitter, that hasn't stopped him from been named to three All-Star teams and even getting some MVP votes after one particularly good season at the plate. There's a pretty good chance that he's going to be inducted into the Hall of Fame someday. And he might prove to be especially popular with Blue Jays fans. Back when he played with Cleveland, he was teammates with Roberto Alomar, pairing up for what some people call the greatest double-play combination in the history of the sport. And it was while he was in Cleveland that he mentored a young shortstop by the name of John McDonald, who would go on to play for Toronto until late last year. The "Prime Minister of Defense" is a breathtaking shortstop, a terrible hitter and one of the most popular players the Jays have ever had. While he was in Toronto, he never missed an opportunity to credit Vizquel for taking the time to mentor him. These days, Vizquel's performance has started to fall off quite a bit; his career his winding down. The Blue Jays have only promised him a chance to come to Spring Training and compete for a spot on the team. But there's a good reason for his decline: he will be 45 years old this season, one of the very oldest players to have ever played in the major leagues. He's been doing it for 23 years now, ever since he broke in with the Seattle Mariners all the way back in 1989.